Father of the Bride (both 1 & 2)! I have to admit, these little gems are my guilty pleasures. I absolutely adore Steve Martin and Diane Keaton in these films and no matter how many times I watch them, I never fail to laugh. One of the things I love so much about the films, is the mood. Light, fluffy, romantic… it’s pure escapism. Exactly the kind of mood I want to create for my books. And that house! 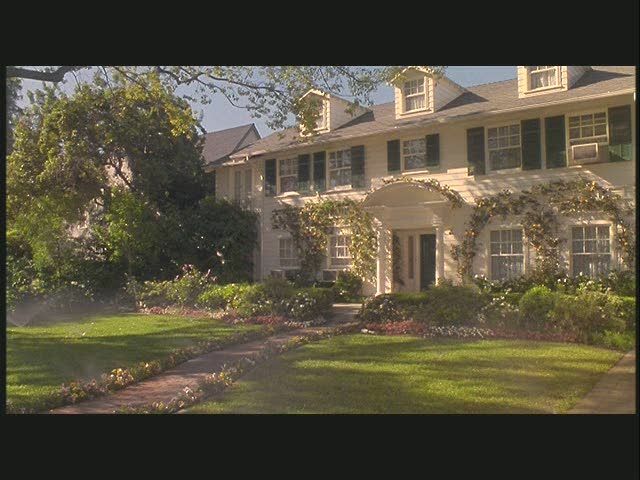 I know people love the Home Alone house, but for me, it’s the Father of the Bride house. That front image, the lovely kitchen, the back patio, and that basketball court. I love it all. Especially the scenes in the 2nd film where Steve Martin (at the height of mid-life crisis) sells the house to Eugene Levy. And then has to buy it back. Ha! He’d better! Next → Next post: Lilly does Target!